1002 Area, located in Alaska’s Arctic National Wildlife Refuge (ANWR), is 1.5 million acres of land rumored to contain anywhere between 4 and 11 billion barrels of oil. In 2017, the Trump administration opened the area up to oil and gas exploration when it passed a tax bill requiring the federal government to hold at least two oil and gas lease sales in the next decade. This move caused quite a controversy, and now it appears SAExploration, Kaktovit Inupiat Corp., and Arctic Slope Regional Corp. will not be moving forward on their planned ANWR seismic survey this winter. News that this seismic exploration has been stopped is being celebrated by Alaskan indigenous tribes and environmentalists opposed to drilling. Gwich’in people, who consider the area’s Porcupine caribou sacred, view drilling as a direct threat to their survival. Dana Tizya-Tramm, a councilor for the Vuntut Gwitchin First Nation in Old Crow, states: "They are going to be spreading themselves across this entire area, thirsty and foaming at the lips for any oil and gas." Cancellation of the seismic project bodes well for drilling opponents, but this is a battle far from over. This controversy involves how seismic drilling will impact the fragile Arctic tundra and its wildlife. This part of ANWR on the coastal plain is Porcupine caribou calving ground, and it is also increasingly used for polar bear denning. The southern Beaufort Sea’s subpopulation of polar bears has been suffering sea ice loss — moving into the coastal plain to build dens in snow drifts. The Porcupine caribou move over 1,500 miles of sacred calving ground each year in a migration event that remains one of the most spectacular in the world. ANWR is 19.3 million acres with "migratory birds from six continents, such as snow geese, reintroduced musk ox, and bears of all variety: black, grizzly, and polar." These are the kinds of wildlife populations facing imminent threat by the seismic survey and subsequent drilling. It has been three decades since a seismic study of the area was done. A new study would no doubt give interested oil leasing companies more exact information on oil quantities and locations. But when we consider the kind of equipment and activities necessary to produce this data, the Bureau of Land Management should have conducted a much more extensive environmental impact statement than the seven pages it compiled on the project. One critic of the BLM’s EIS of the 1002 Area project, D.A. "Skip" Walker, Ph.D., of the University of Alaska Fairbanks, summarizes its oversights, writing for the Anchorage Daily News: "It contains no information regarding the total length of trails or total area directly impacted by the proposed seismic tracks. Nor does it include proposed locations of camps and airstrips or routes for fuel hauling. The plan is missing a realistic timeline and itinerary to carry out the survey. It contains no alternative methods that consider the destructive potential of various vehicle types, or sensitivity of different terrain and vegetation types." Thirty-ton trucks and bulldozers traveling on fragile tundra, airstrips, and worker camps, is the vision for those who want seismically updated data. However, the last seismic survey in 1984 and 1985 has left "visible scars" — so there’s no telling what today’s impact would be if the survey went forward. The survey, known as Marsh Creek 3-D, was anticipated to be completed over the next two winters. People opposed to ANWR drilling still have to contend with the fact that oil leasing can begin there as early as July 2019. Now companies will be bidding without updated seismic information. 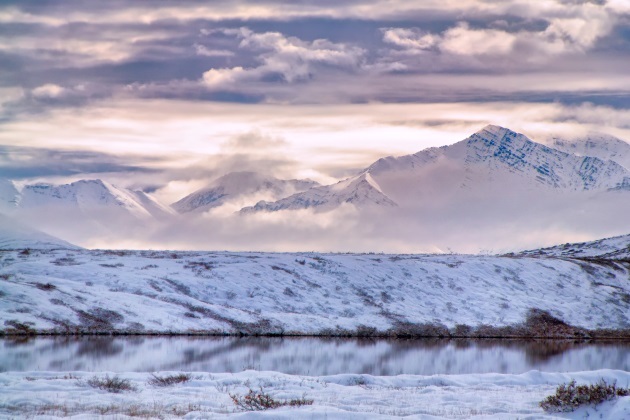 The Department of the Interior has extended the ANWR drilling public comment deadline until March 13. The National Housing Center in Washington, D.C., will hear comments on Feb. 13.